how can i disable the slideshow? I downloaded outsorcing-fts. In Administrator | Extensions | Module Manager I only have 4 modules. Your video shows more than 4. Don’t know why the others aren’t showing. I ahve downloaded & installed, but it is not giving full option as we see in the demo package, then what is the use of this. 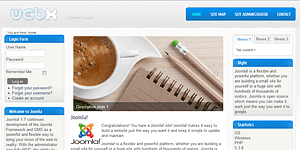 I am web designer, almost 46 sites developed using joomla, but I felt so bad you are doing like this. It’s the exact template as you see in the live demo. Greate one! I just cannot figure out how to use intro images at the home page.